Cheeky monsters on wheels: it’s a dream come true. Race and read with your speedy buddies. If you like Disney Cars or Moshi Monsters, you’re going to love the Monster Trucks. A gang of friendly monsters who each have their own set of wheels. What do they love? Racing! 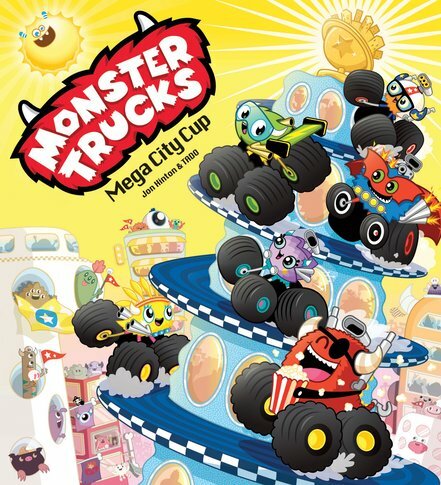 In their second story, the trucks compete for the Mega City Cup. Bolt, Newton, Roxy and the rest want to battle it out right to the finish line. But what matters more – speed or teamwork?